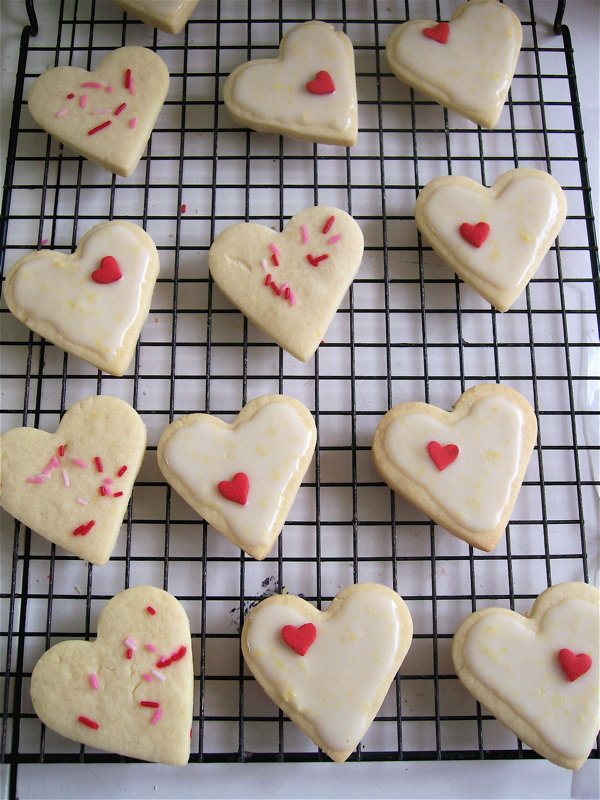 I concocted this Valentine’s Day cookie recipe as my heart shattered—when my mother died four years ago in early February—and I called them Broken Heart Lemon Sugar Cookies. But now, they bring back happy memories. 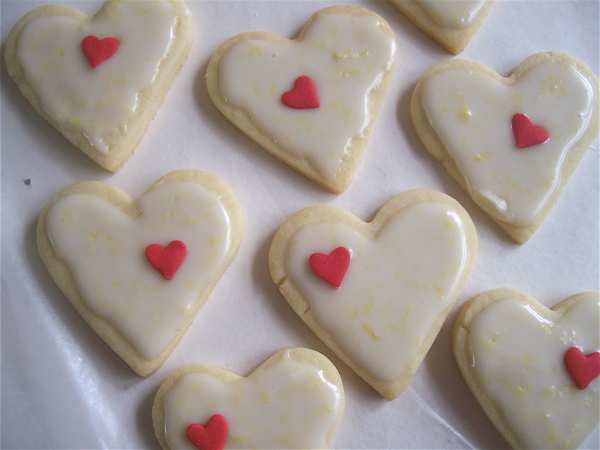 And so I’ve changed the title to Happy Heart Lemon Sugar Cookies. It’s amazing how the simple act of baking can transport you—no matter how much time passes—to a cozy place of love and family and happy times. Baking is my meditation. It’s my hammock on the beach even when the ground is blanketed in snow. 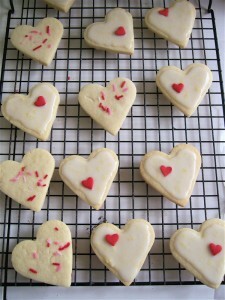 These cookies are simple to make and just in time for Valentine’s day. They taste so much better when you share them. And you’ll make me kinda happy if you like Heartbreak Recovery Kitchen on Facebook. Divide dough into thirds, flatten into disks, and wrap in waxed paper. Refrigerate about 30 minutes. Using 1 part of dough at a time, roll dough on a lightly floured surface to about 1/4 to 1/2 inch thick. Use a 2- to 3-inch cutter to cut out cookies. Place on cookie sheet about 1-inch apart. Repeat with remaining dough. Pat dough scraps together and roll and cut. Bake 10 to 12 minutes or until edges get a hint of brown. Do not over bake. Remove to a cooling rack. When cool, frost with Lemon Glaze. 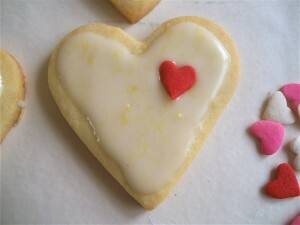 Add little red hearts or pink and red sprinkles, if desired. Lemon Glaze: Whisk together 1 1/4 cups powdered sugar, 2 to 3 Tbsp. lemon juice, 1 tsp. lemon peel, and 1/2 tsp. vanilla extract.